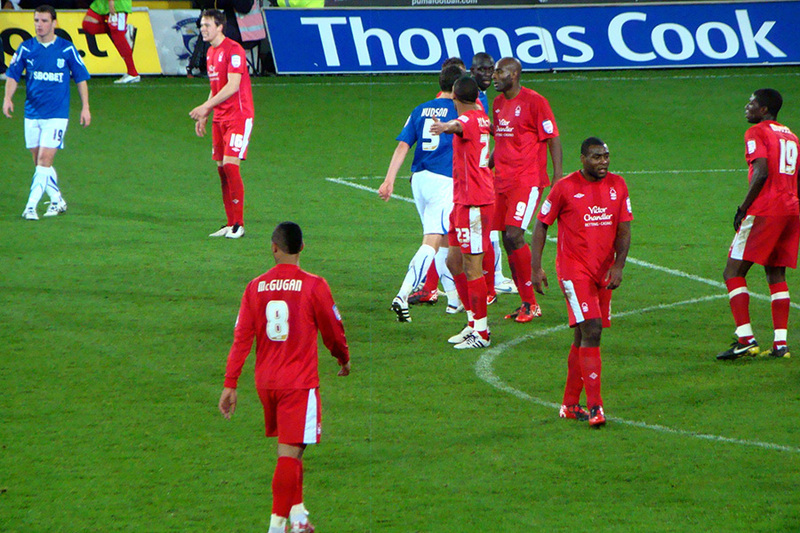 Nottingham Forest Football Club, a "soccer" team from the UK, are using SMS to provide additional safety and security to fans. Imagine the following scenario; you are sitting in the stands enjoying the game with your kids when someone behind you starts yelling foul and abusive language, racist chants or causing trouble. You cannot tackle them, for fear of what they might do (especially if they have had several beers). Getting a steward or the police over will draw attention to you and let the yob know that it was you who complained. So you put up with it or alternatively you leave early, either way you probably will not want to take your family to the City Ground in a hurry again. Fortunately such instances are rare at Forest thanks to the efforts of the Safety Officer and his team. They are extremely proactive and through their meticulous planning and intelligence database, it is safer to watch the Reds now than it’s ever been. But if the worst strikes, SMS has been implemented to help. "We wanted a solution that could quickly help fans tell us of troublemakers in confidence and not have their own safety compromised." Using an SMS Short Code (in Australia its called a virtual mobile number), Nottingham Forest fans simply text the keyword ‘Forest’ to 60066 along with the details of the problem, getting an instant acknowledgement back. “Within seconds our security control centre gets a copy of the text as an email. The video cameras zoom in on the offender and record the incident. Stewards and security are dispatched to monitor the incident and the situation is brought under control – all without anyone knowing who complained”. The number is printed on the reverse of tickets, in the matchday programme and advertised around the ground. The Safety Officer would like to see the 60066 number adopted as the single crowd safety SMS shortcode for every club, so travelling fans would always know the number to text, no matter which ground they are visiting. The Safety Officer's forward thinking has been recognised by the FA, one of a select team chosen to contribute to the FA’s recently published safety best practices. 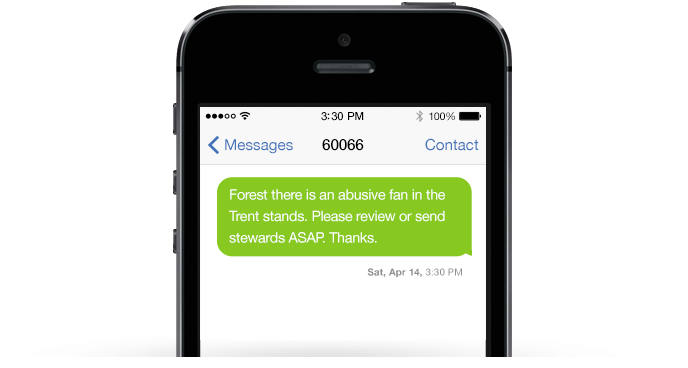 Alan is keen that other clubs follow Forest’s example and use this simple and cost effective SMS solution to make football safer and more enjoyable for everyone.